You probably understand the importance of investment diversification – spreading your portfolio across various mutually exclusive asset classes. But when you are investing for your retirement, it’s also important that you build tax diversification into your portfolio as well. This balance is much more important than most retirement investors realize. You can build tax diversification into your retirement investments by accumulating some money in non-tax sheltered plans and assets. When you invest money in typical retirement plans, such as 401(k), 403B, and IRA plans, your money grows within your account on a tax-deferred basis. But tax-deferred is not to be confused with tax-free. When your investments grow on a tax-deferred basis, you are merely putting off – or deferring – the tax liability on the investment gains. 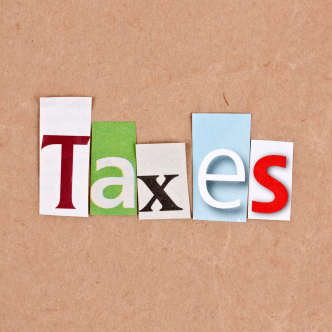 This deferred tax liability is compounded when it comes to most retirement plans. Under a typical plan, not only do your investment gains grow on a tax-deferred basis, but the contributions that you make to the plan are tax-deferred as well. This is to say that the tax benefit you get now from deducting retirement contributions from current income taxes merely transfers the tax liability to a future date. Both your contributions, and the income and investment gains that they accumulate, will be entirely taxable upon withdrawal. While this is an outstanding strategy for growing your retirement portfolio, it can catch many investors unaware when the time finally does arrive to begin making account withdrawals. When it comes to retirement planning, the general assumption is that you’ll effectively transfer taxable income from your working years – when your tax bracket is higher – into your retirement years when it will be considerably lower. But that may not necessarily be the case. 1. You may be in a higher tax bracket in your retirement years. Many people find that both their income and their income tax liability peak when they’re in their 60s and 70s. This can happen if you have investment income, retirement income, Social Security, as well as continued business and employment income. Your income may be higher than at any other time in your life as result of having multiple income sources. Complicating this is the fact that tax-deferred retirement plans generally require mandatory distributions beginning at age 70 ½. The law does not allow you to defer income taxes on retirement accounts forever. 2. When you need to make a large withdrawal. Just as is the case during your working years, there may be times when you’ll need a substantial amount of money for one reason or another, and need to tap your retirement savings for it. A large withdrawal itself – since it will be 100% taxable – could even put you in a higher tax bracket. You may need the money to cover very large uncovered medical bills or to help your children or other family members. If you do, the withdrawal will also create a tax liability. 3. Income tax rates may be much higher in the future. Compared to what income tax rates have been in the past, current rates are relatively low. Growing federal budget deficits could result in higher tax rates. It is entirely conceivable that income that was deferred to protect it from a 15% federal income tax liability, could be subject to an even higher rate on withdrawal. Any one or even all three of the above scenarios could see you paying more in taxes on withdrawals that you saved on the contributions to tax-deferred plans. But you can diversify around higher tax consequences by using any of the following investment vehicles. If you have been accumulating money in non-tax sheltered investments, such as a regular investment brokerage account, you will at least have money available in the event that you need to make a large withdrawal to cover a major expense in retirement. Since these accounts are not tax-deferred, and were not made with tax-deductible contributions, you can withdraw money completely free of income taxes. Roth IRAs offer the best of both worlds – tax deferral of investment earnings and tax-free withdrawals. As long as the withdrawals are taken after age 59 ½, and the plan has been in effect for a minimum of five years, the money can be withdrawn from the account without tax consequences. This makes Roth IRAs a “must have” for retirement tax diversification planning. Real estate is also a tax-deferred investment. You buy a property, and there is no income tax liability on the value of the property until it is sold. But when it’s sold, it’s subject to more favorable long-term capital gains tax rates. You’ll still pay income taxes for sure, but often at a lower rate than you will on withdrawals from fully tax-deferred retirement plans. Not many people are thinking about municipal bonds in terms of retirement planning these days – the interest rates simply don’t justify it. But at some point in the future when interest rates are higher, they may be worth a second look. Municipal bonds have the advantage of providing you with a steady and stable income that is completely free from federal income taxes. They are also free of income taxes within the state that issued them, which means that you should favor municipals from your own state. When you are planning for retirement, keeping all of your assets in 100% tax-deferred investment plans isn’t always the best strategy. Keep at least some money in taxable accounts – and bite the tax bullet now – that way you’ll have more flexibility later. What are your thoughts on tax diversification in retirement investments? Leave a comment and tell us your strategy!